Random House Trade Paperbacks, 9780812989151, 240pp. Alan Alda has earned international recognition as an actor, writer, and director. He has won seven Emmy Awards, has received three Tony nominations, is an inductee of the Television Hall of Fame, and was nominated for an Academy Award for his role in The Aviator. Alda played Hawkeye Pierce on the classic television series M*A*S*H, and his many films include Crimes and Misdemeanors, Everyone Says I Love You, Manhattan Murder Mystery, and Bridge of Spies. 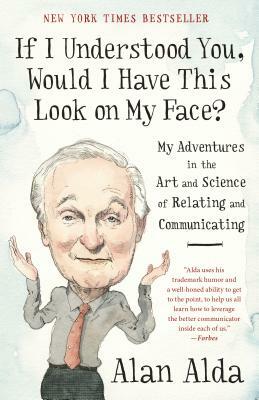 Alda is an active member of the science community, having hosted the award-winning series Scientific American Frontiers for eleven years and founded the Alan Alda Center for Communicating Science at Stony Brook University. Alda is the author of two previous bestselling books, Never Have Your Dog Stuffed: And Other Things I’ve Learned and Things I Overheard While Talking To Myself.